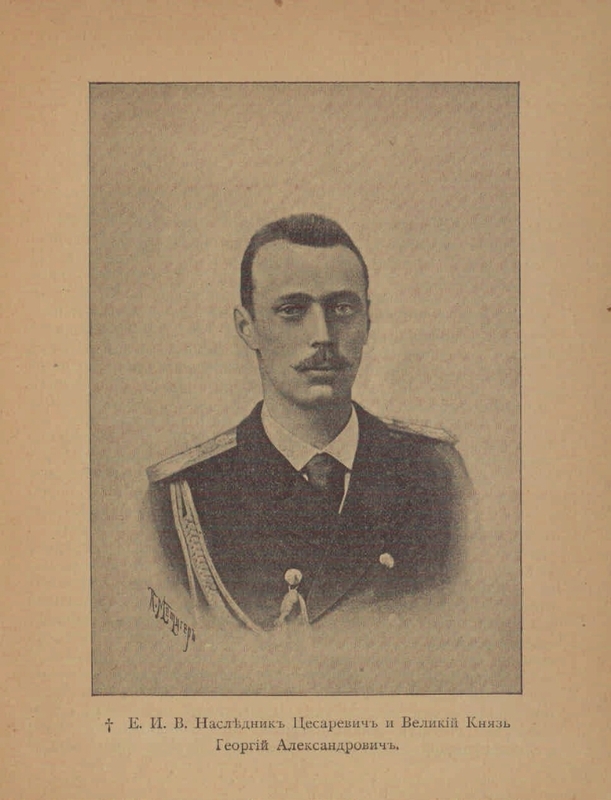 In the Bose the late heir Tsesarevich and Grand Duke George Alexandrovich: his life and burial. 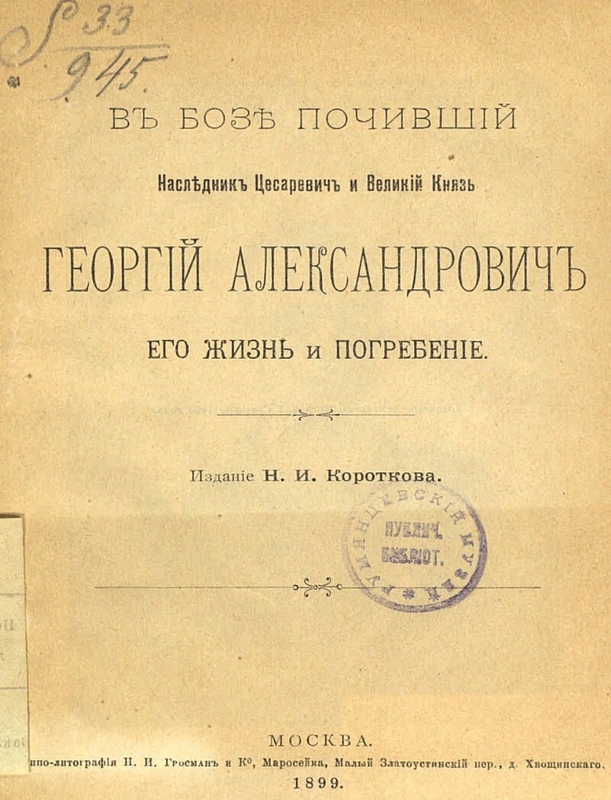 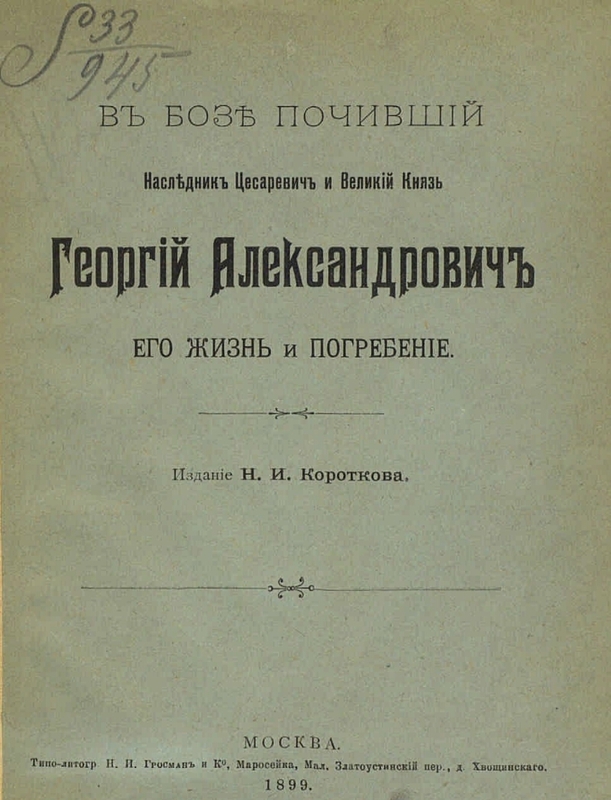 - Moscow: NI Korotkov, 1899. 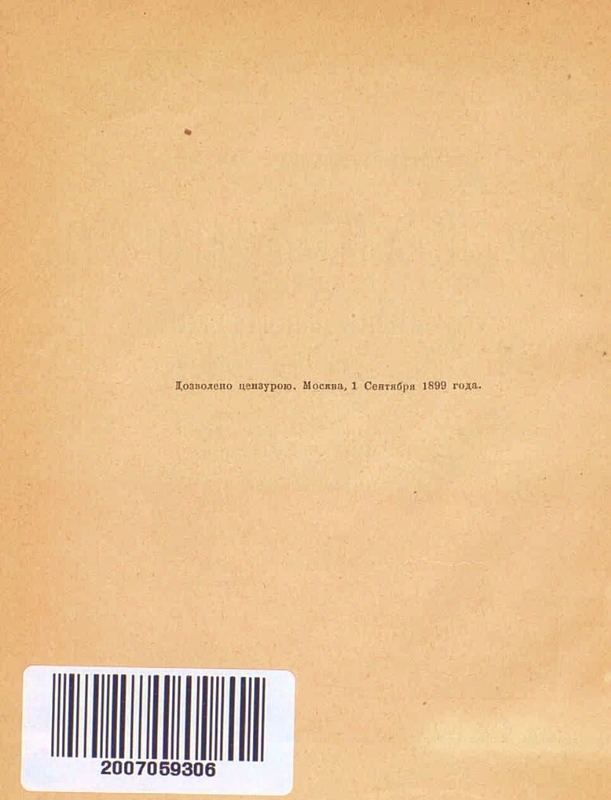 - 96 p. : ill. ; 17 centimeters . 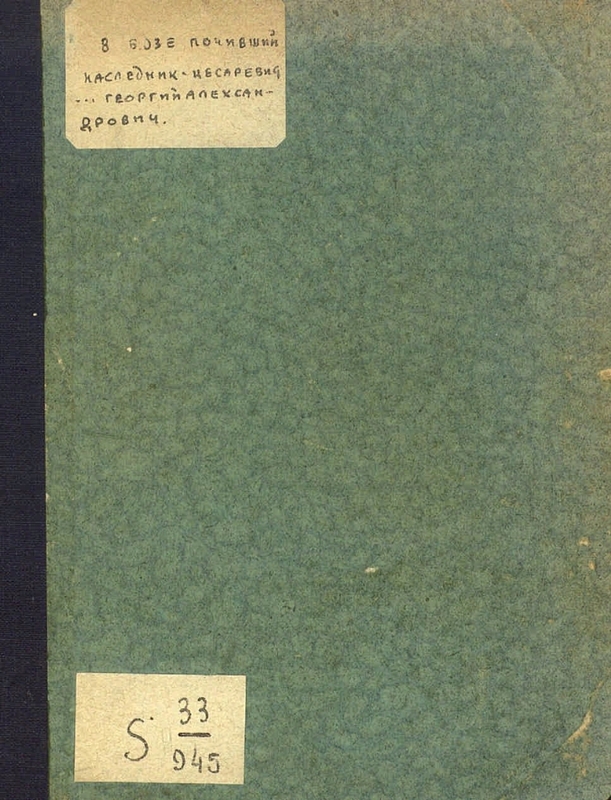 BBC 63.3 (2) 522-8 Romanov, G. A.